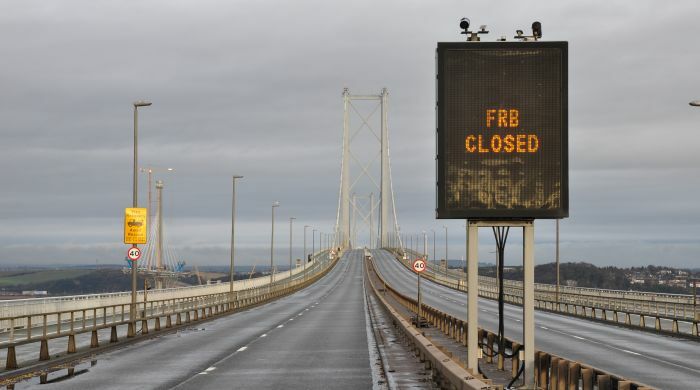 What Does the Forth Road Bridge Closure Mean for East Central Scotland’s Travellers? When the announcement of the Forth Road Bridge closure came 2 weeks ago, travel chaos reigned. Throughout the morning of the 4th December we heard stories of people sitting in their cars for hours, or left at the railway platform when morning rush hour on the Scotrail network, became reminiscent of the crowds we’re used to seeing using the London Underground. Thankfully, now, the contingency plans and dedicated routes to the Kincardine and Clackmannanshire Bridges have eased the congestion, but what does all this mean for Business Travellers? With Scotrail having now prioritising Fife to Edinburgh routes which has led to an extra 10,000 seats each day, the train is by far the best way to travel to and from the Capital! We’ve been advising clients to take the train, as the traffic to the alternative bridges can be so unpredictable and for those travelling to Edinburgh Airport our flat out advice is to take the train to Haymarket Station then jump on a Tram from Haymarket to Edinburgh Airport. While it takes a little longer, so far we’ve not had any clients missing flights! It should be noted that while Edinburgh has increased rail capacity travel that makes travel to and from the capital’s airport easier, Glasgow airport has had a tougher time with no real contingencies for travel from this part of the world to there. We’ve also seen an increase in hotel bookings in the Capital and Fife. For some executives the additional commuting time was adding over 2 hours what was already a very long day so the best option for them has been to break up their week by staying in a hotel near the office. With the bridge due to re-open on Monday 4th January, let’s hope this is the last Forth Road Bridge closure we see for a while.